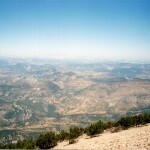 In France, summer is the season when everyone leaves cities and retreats the countryside, but in winter, towns and cities turn into bustling, lively urban paradises, even when the temperature drops below zero. Whether or not there’s a blanket of snow covering France, ice skating rinks open all over the country in winter. Some outdoor rinks function only in winter, while the indoors rinks that operate all year round become more crowded than ever. 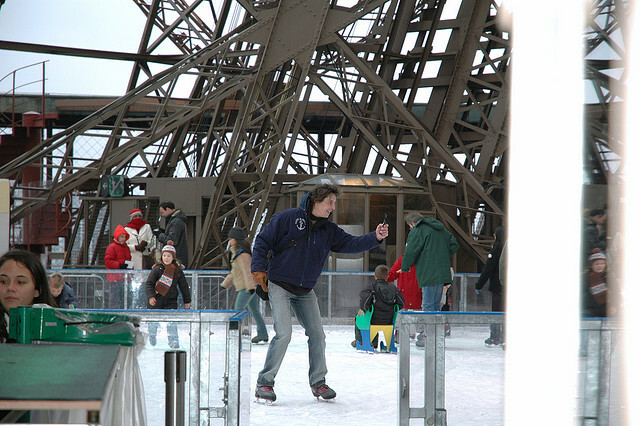 Skating is quite a popular pastime among the French, and there are many ice skating rinks for all to enjoy. 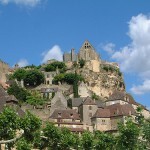 So if you’re visiting the country anytime this winter, drop by one of the top 5 ice-skating rinks in France and have some fun on the ice! 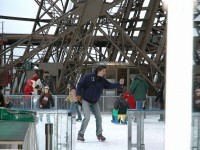 If your tastes in skating rinks runs towards the unusual, then how about skating while perched high on the Eiffel Tower? Although the skating rink is not located at the top of the tower, it affords some spectacular views of the city. This skating rink is not large (200 square meters), and in the evening when the lights of Paris turn on you might have to wait in line for a while. Entry to the skating rink is free for visitors of the tower. Courchevel is one of the best known ski resorts in France, part of the Trois Vallees area, the largest linked ski area in the world. 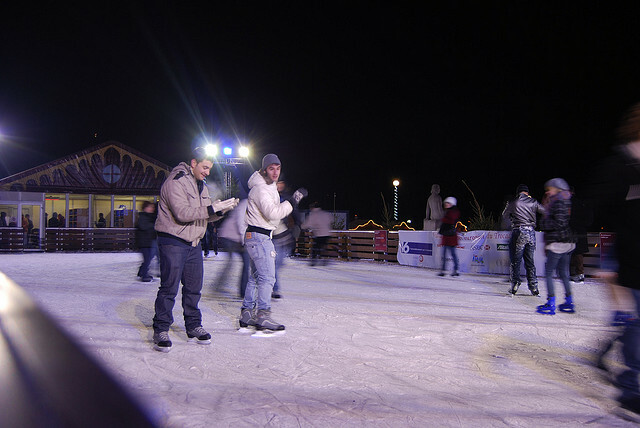 While most of the people who go to Courchevel indulge in sports like skiing or snowboarding, there are other activities to be enjoyed in the resorts, and ice skating is one of the most popular of them. Courchevel has an Olympic ice rink, built for the 1992 Winter Games. The rink is open every day in the afternoon and a couple of times a week on evening as well. When the weather is too bad for skiing, many people come to the rink to hang out and slide on ice while listening to music. Chambery ice skating rink is open all year round, but as always, in winter the atmosphere get livelier than at other times of the year. Chambery hosts themed nights, concerts, family activities and even go-carting on ice. However, skating is still the most popular thing to do at Chambery, especially on weekends. There’s music, video projections on several huge screen and various other facilities that will make your stay more pleasant. If you want to improve you skating skills you can sign up for shorter or longer skating courses as well.